Q. 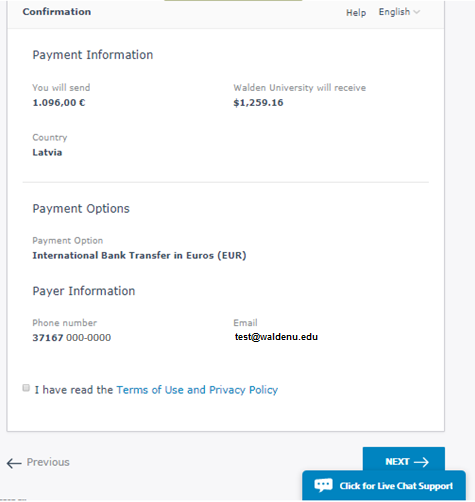 How do I pay my invoice by Bank Transfer as an international student? 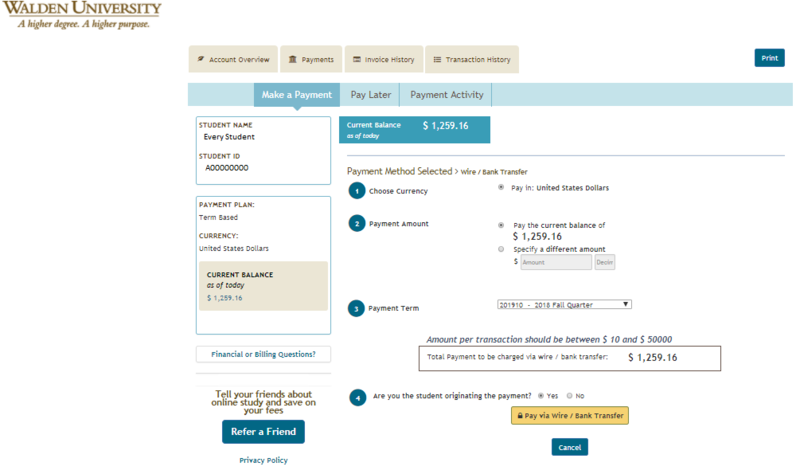 From the Account Overview page of the Student Financial Portal, go to the Payments tab and you will see the following payment options. Select Wire / Bank Transfer. Select “Yes” if you are the student submitting the payment. If you are not the student and are paying on behalf of the student, select “No”. 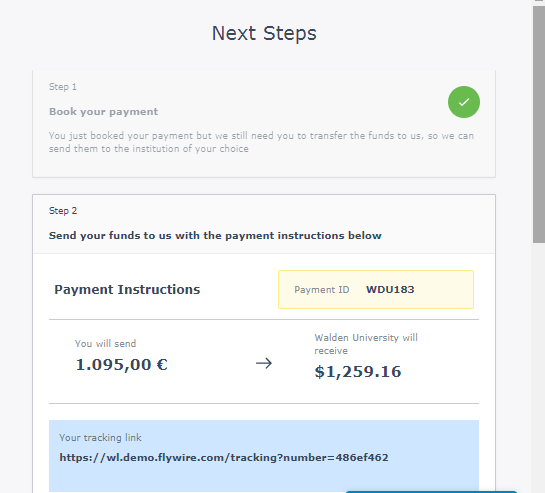 Click “Pay via Wire / Bank Transfer. 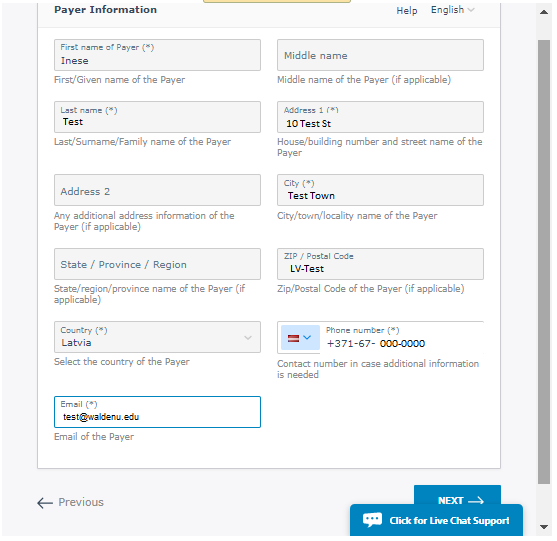 If you are the student paying on your own behalf, review your address and enter your phone number and email address. If someone else is paying on your behalf, their address, phone number, and email address are required. 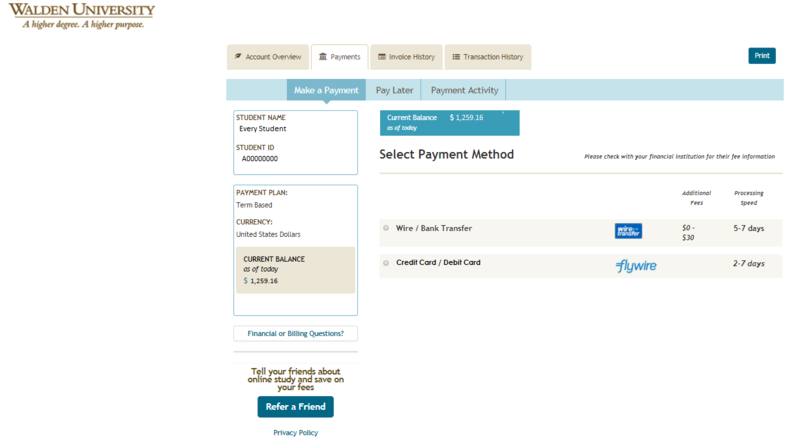 A Payment ID and tracking link to track the status of the payment are displayed. Click “Print Payment Instructions” if needed. 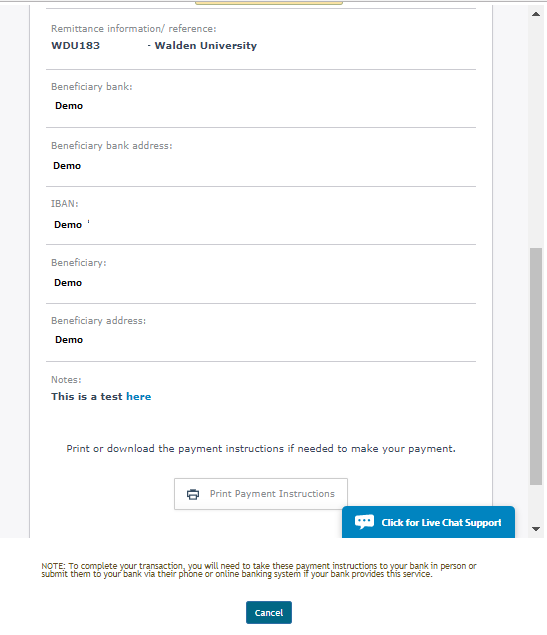 The Payer must submit these Payment Instructions to their bank in person or via phone or online if their bank permits those options to affect the bank/wire transfer!